Let your child feel comfortable wearing this smart half sleeves T-Shirt from Zero. The collar neck T-Shirt features a stylish front button closure that ensures fuss free dressing. 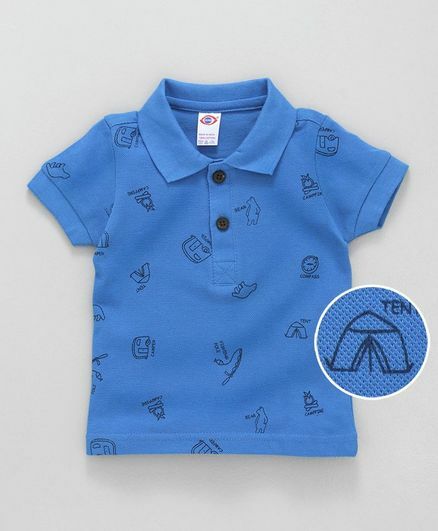 Made from soft 100% cotton fabric, this T-Shirt will keep your child at ease all day long. Styling Tip: Mix n match this T-Shirt with shorts and cap to complete the look. I have order for 8m old baby. But the quality of shirt is not good its rough.